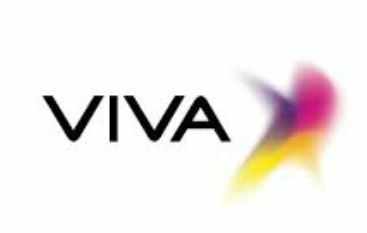 Kuwait Telecommunications Company is known as Viva Kuwait for advanced mobile phone communication, established on July 22, 2008. Viva offers, mobile line and high speed internet with 4G network. Viva has postpaid and prepaid packages for voice, data communication facilities that help customers to connect each other with lowest call rates. Get Connected 7 : 39 fils/minutes, 300 SMS, 5GB Internet. 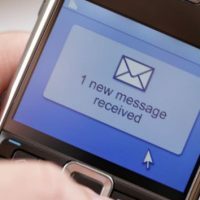 Get Connected 10 : KD8 minutes Credit Bundle, 100 SMS, 10GB Internet. Get Connected 15 : 500 minutes, 500 SMS, 50GB Internet. Get Connected 20 : 1000 minutes, 1000SMS, 100GB Internet. Postpaid Mobile Unlimited Connection by Viva Kuwait. Unlimited 30 : 2000 mintues, 1000 SMS, 500GB Internet, yearly a free device plan. Unlimited 40 : Unlimited Minutes, 1000 SMS, 1TB Internet, yearly 2 Devices plan. Unlimited 55 : Unlimited minutes, Unlimited SMS, 3TB Internet, yearly 2 Free Devices plan. KD 3 – 50 minutes, 2GB Internet, Local Calls, Valid for 30 days. KD 5 – 100 minutes, 5GB/15GB Internet, Local Calls, Valid for 30 days. KD 8 – 150 minutes, 25GB/75GB Internet, Local Calls, Valid for 30 days. KD 12 – 300 minutes, Unlimited Viva minutes*, 50GB/150GB Internet, Local Calls, Valid for 30 days. KD 18 – Unlimited minutes*, Unlimited VIVa Calls*, 200GB/600GB Internet, Local Calls, Valid for 30 days. * Fair uses Policy Applies for these. 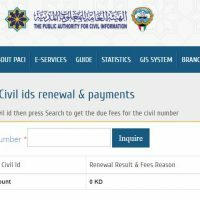 Viva Kuwait Balance or Bill Short code. To Know your bill : Command to know Unbilled : Dial *544#. To Know your bill : Command to know Unbilled : Dial *566#. Viva Missed Call Alert : To Activate dial *62*234#. Visa Missed Call Alert : To de-Activate Dial #62#. -To recharge viva phone, enter *500*recharge code #. and send. Internet Package: KD 6 Monthly – 500 GB. Bing Rounter – KD 2. Advance Big Rounter – KD 4. Advance Touch Screen Router – KD 3. CAT 11 Router – KD5. Bing Rounter – KD 1.5. Advance Big Rounter – KD 2. Advance Touch Screen Router – KD 2. CAT 11 Router – KD 3. CAT 11 Router – KD 4. Samsung Tab 3 Lite – KD 2. Huawei Media Pad 7′, 4G, 16GB – 3 KD. Huawei Media Pad 10′, 4G, 16GB – 4 KD. Tablet 9.7 – KD 6. Apple TV – 64 GB – KD 3. Xbox One – KD 4. Cat 16 router – KD 6. Internet Package: KD 10 Monthly – 1 TB. Samsung Tab 3 Lite – Free. Huawei Media Pad 7′, 4G, 16GB – 1 KD. Huawei Media Pad 10′, 4G, 16GB – 2 KD. Tablet 9.7 – KD 3. Apple TV – 64 GB – KD 1. Enjoy 5 GB data during Ramadan and unlimited streaming Jawwy TV for Viva Customer . You can subscribe for Jawwy TV. Jawwy TV subscription payment available On VIVA connection with 30 days’ free trial. Ride ‘more’ for less with 25% off on Careem services exclusively for VIVA kuwait customers. You can Get the eCards you need with your VIVA line. Get ICFLIX app and make payment with VIVA’s carrier billing service. Get the app Telly instantly & make payment through your mobile phone. Application for your mobile, Get WaktiPlay app instantly & make payment through your mobile phone. Play game and win. VIVA Kuwait gives you the chance to win up to $195,000. You can Select from a wide variety of data services that suit your needs. Heart catching ring tone for your mobile, Choose uncommon but smart ringtones from your favorite songs or audio clips. SHAHID is the number one Premium VOD of Viva Kuwait telecommunication. Visit google store, Tap , shop & pay on Google Play. Do you want to show off your caller that you are travelling abroad. Send credit to friends and family anywhere of the world. Customer Care of Viva Kuwait. Contact with Viva Customer care when need. From Kuwait call to 102 or +965-55102102 if you are outside of Kuwait. Kuwait dinar to Indian rupees.